Great Powers employ a variety of maritime strategies, but these different national approaches have often been overlooked or inappropriately lumped together. Furthermore the concepts that were derived from these strategies can have effects that transcend the immediate historical circumstances that gave rise to them. Finally the methods of administration devised to implement governmental policy can either be viewed as a model for other rising Great Powers or can provide the means of making possible new institutions dealing with issues of concern to Great Powers. 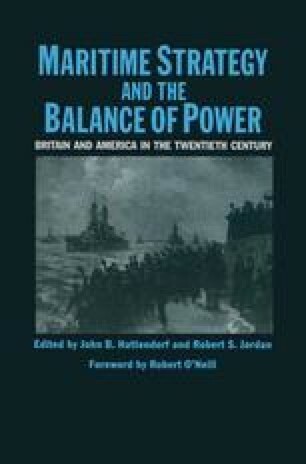 The purpose of this collection of essays is to examine the similarity in the Anglo-American perspective of Great Power maritime strategy and the role of navies in maintaining a balance of power. The institutions that emerged are very much a part of the life of all nations, great or small, and hence are worthy of careful examination.